As the news of the day pulsed along the once seemingly unthinkable pathways of the information industry — boots on the ground in Gaza, slide show updates on Mila Kunis’s pregnancy — adherents of an earlier future gathered at the Crowne Plaza Hotel in Cherry Hill, New Jersey. 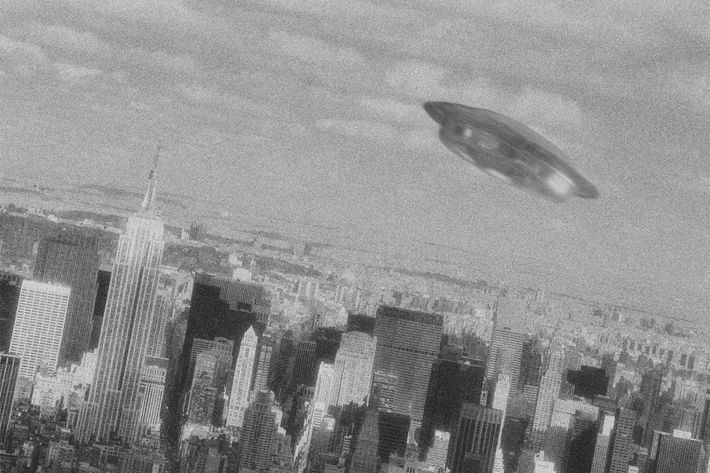 The occasion was the annual conference of the Mutual Unidentified Flying Objects Network, which, in accordance with this year’s theme, “UFOs and the Media,” was focused not on the ephemera of the news cycle but rather on the eternalities of what several in attendance called “the biggest single story in history,” i.e., the existence of extraterrestrial life on Earth and the cover-up of that presence by the United States government, the corporate structure, and their oblivious and/or sold-out lackeys in the mainstream press. While this year’s symposium attracted a reported 400 people, this was a far cry from the thousands who attended the MUFON conference in the late 1970s, after Close Encounters of the Third Kind introduced extraterrestrials to the mainstream moviegoer. 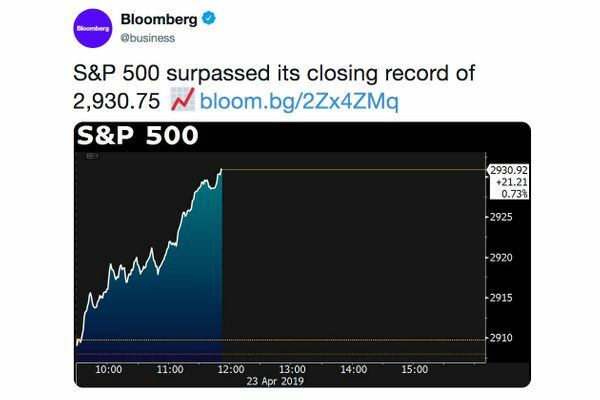 That was at a time when a lot of people actually believed that these mysterious things from the sky represented the biggest single thing in history. Since then, despite the recent astronomical findings of the so-called “Goldilocks zone” that postulates sentient life is possible throughout the galaxy, ufology has apparently lost its grip on the public imagination, and has been demoted to a neo-cult status. For the populace at large space is no longer the place. Not that this mattered to those gathered at Cherry Hill. Used to marginalization, they were resolved to keep watching the skies. Photo: L. Clarke/? Corbis. All Rights Reserved. This was fun, especially when Knapp began talking about Area 51, “the world’s best known top secret base.” In 1989, Knapp broke the story of Robert Lazar, a then 30-year-old scientist who claimed to have worked the remote military facility in the Nevada desert. Lazar’s epic account of how the US armed forces were “reverse engineering” alien technology from crashed and captured flying saucers has become a cornerstone of the late stage UFO narrative. 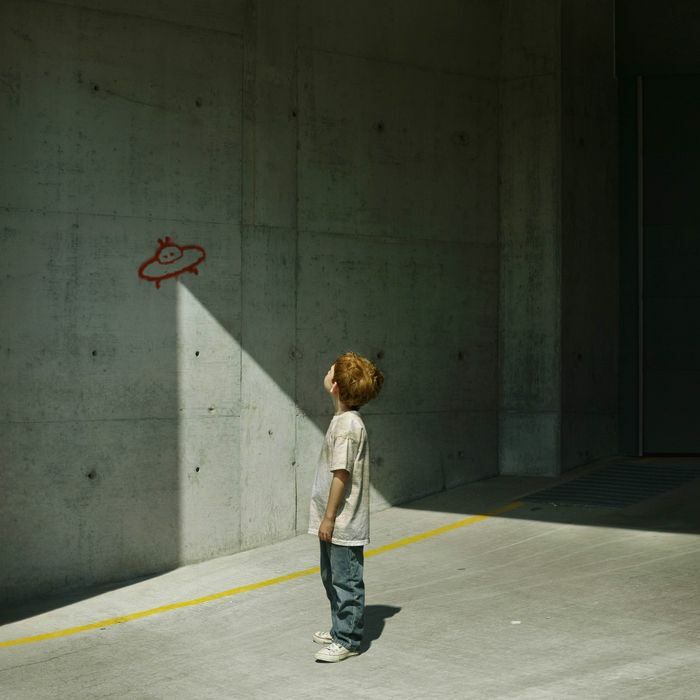 As soon as Lazar opened his mouth, “the meme was on the loose,” Knapp said, resulting in many books, movies, and Area 51-inspired product campaigns accompanied by theme music from the X-Files. In the context of today’s ever-narrowing attention span, there was only one drawback to this 25-year-old story: It was 25 years old. Not that the old was out of place in this crowd. MUFON has been around for 45 years and the average age of those who ponied up $239 for the conference was way past that. Many of the presenters, most of them long-established figures on the scene (Stanton Friedman, the 79-year-old widely acknowledged dean of the field, had to cancel owing to a mild heart attack) were equally venerable, as were most of the subjects they discussed. 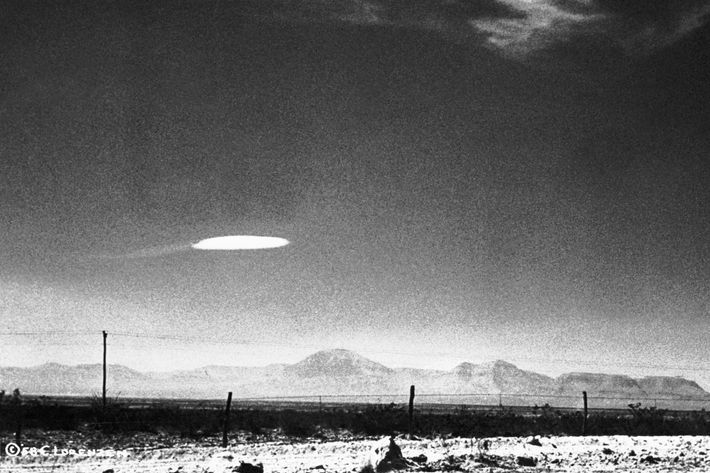 Much talk focused on the genre’s greatest hits: the Betty and Barney Hill abduction account (1961), the Lonnie Zamora/Socorro, New Mexico sighting (1973), the Rendlesham Forest incident in the U.K.(1980), and, of course, Roswell, circa 1947. As noted, it wasn’t always this way. In another post-A bomb time ufology seemed a wholly appropriate response to a newer, bigger, and far more frightening world. Long before the appearance of Ezekiel’s wheel, people knew something was up there, and now that we’d fired off this nuclear bottle rocket capable of killing millions, the watchers had come in for a closer look. 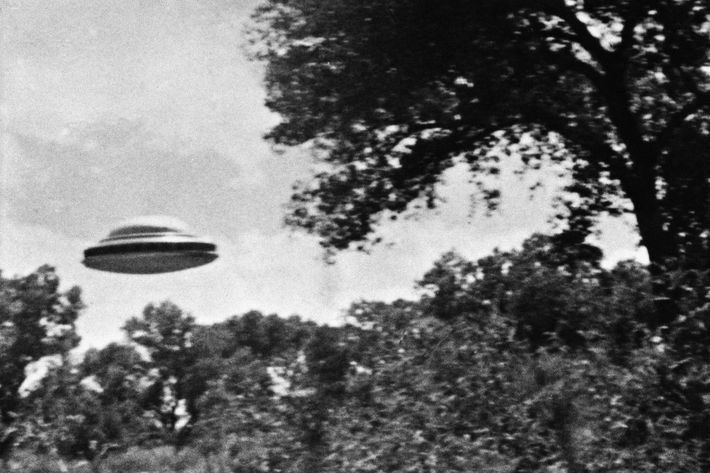 Suddenly palpable millennialism gave impetus to a number of so-called “ufo religions” ranging from the Honorable Elijah Muhammad’s talk of the liberating “mother plane” to ex-sci-fi writer L. Ron Hubbard’s Scientology. It also enabled a breed of typically American loner “independent researchers.” These were the free-thinking, often highly competitive (later highly paranoid) individuals who drove their vehicles into the middle of the desert, looked up into the vast firmament decided that, for better or worse, there had to be another world beyond this one. 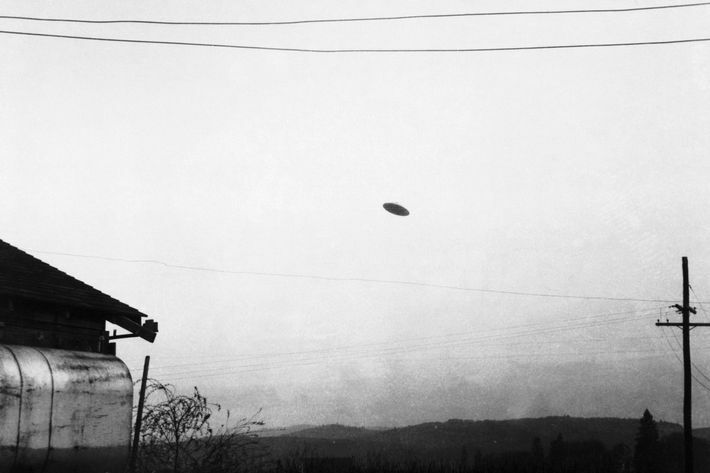 The fact that the UFO issue represented the first time a large segment of population felt the then-trusted government was withholding the truth from the public only whetted the frisson of the hunt. After his presentation, I spoke with Bassett, an ardent former business consultant in his middle 60s who described the Disclosure quest as “my life, now.” Victory was inevitable, he thought, saying, “the Catholic Church’s attempt to suppress the Copernican revolution was a doomed enterprise. Now we’re talking about something far more profound than that … when the government tries to contain the reality of the galaxy, that is a task that is Herculean and ultimately can not succeed.” Once the alien presence was acknowledged, humanity would take a meaningful step into “maturity,” Bassett contended. Photo: Paul Trent/? Corbis. All Rights Reserved.